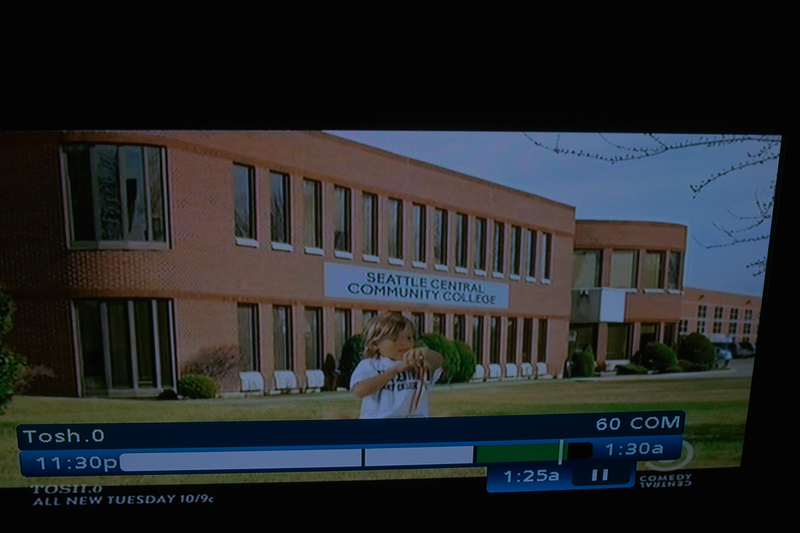 Comedy Central’s Daniel Tosh, on his show Tosh.O, uses Seattle Central Community College as a prop in a segment on the fifth season of the comedy program. It alludes to a grunge Seattle life and has a young boy, hypodermic needle in hand, wrapping a tourniquet around his arm. 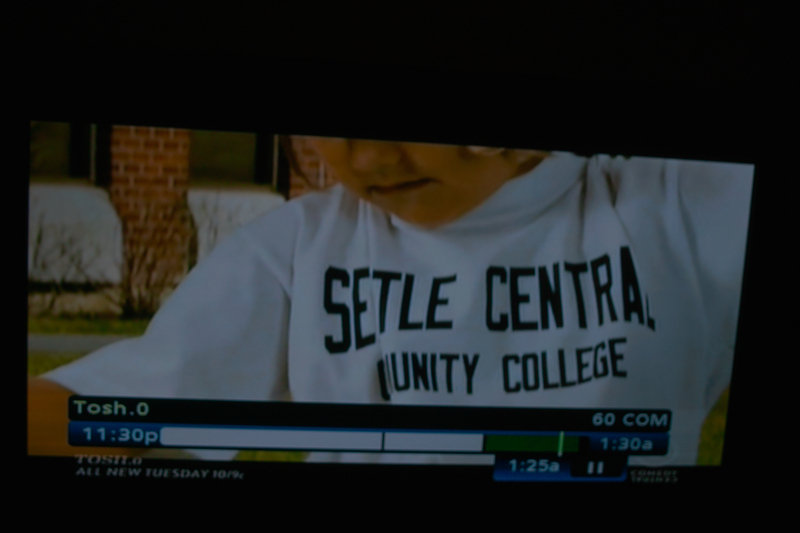 The boy is wearing a shirt reading: Seattle Central Community College. Behind him is an image of a school – not SCCC – but bearing the name Seattle Central Community College. The bit starts with a real video showing the kid chugging a beer bong – funnel and tube contraption – filled with water before Tosh begins to describe the youngster’s fictitious collegiate career. The kid begins transferring between colleges seemingly trying every drug and clichéd college vice on the way. Then it shows the boy sitting on the lawn outside the faux SCCC that makes the Tosh crowd go “aww,” as he wraps the tourniquet around his arm. Sebastian Garrett-Singh is a Seattle Central alum who served as the Executive Editor of New City Collegian through 2012 to spring 2013. He currently works as a contributor for the Capitol Hill Seattle Blog.